Ready to master Instagram dimensions for IGTV? Video content is more popular than ever, with customers in almost every vertical tuning in to catch up on the latest content from their favorite brands. Not only do everyday ‘Grammers love video, but marketers appreciate it impacts too. Around 78% of the marketers who have used Instagram video so far consider it to be an effective strategy. 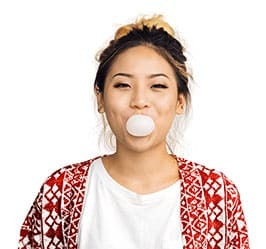 Of course, as any true Instagram-lover knows, if you want to be successful on this visually-focused platform, then you need to commit to making your videos look incredible. That means not only shooting great content but getting your Instagram dimensions right too. While you may have had some time to get used to vertical video on Instagram Stories, it’s worth brushing up on your skills before you launch into IGTV. After all, creating a high-quality vertical video that complies with the latest Instagram dimensions isn’t as easy as it seems. Fortunately, Upleap is here to help. Before we jump into the details of optimizing your vertical videos for IGTV, let’s cover the basics. 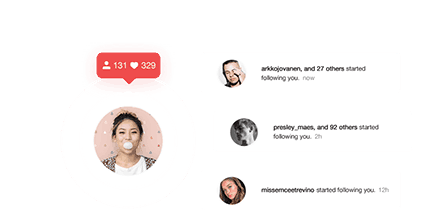 Dimensions: Your basic video Instagram dimensions should be around 1080 x 1350 pixels. Length: Videos must be between 15 seconds and 10 minutes long unless you have a verified account. Verified accounts can post videos up to 60 minutes in length. File size: Maximum of 650MB for videos up to 10 minutes long, or 5.4GB for videos up to an hour. Of all those details above, the one you’re most likely to struggle with is aspect ratio. Unless you shoot your videos on your smartphone, which will generally record in 9:16 automatically, you’ll need to edit your video in post-production to get the Instagram dimensions right. So, how do you make sure you’re getting your Instagram Dimensions right for IGTV? Well, the first step is making sure that you shoot your videos correctly. Shoot the vertical video on your smartphone: The majority of smartphones automatically shoot video in the 16:8 ratio. Hands-down the easiest way to nail your Instagram dimensions for IGTV is to shoot on your smartphone. Rotate your camera: If you want the quality of a digital camera, then you can rotate your DSLR 90 degrees and hope for the best. Unfortunately, most high-level cameras shoot in a 3:2 ratio, which means you will need to edit to get the dimensions right. Shoot naturally, then edit: Alternatively, you can shoot a video as you would normally and transform the ratio afterward using video editing software. Editing your video is easier than you’d think, so this isn’t a bad option if you don’t mind spending some extra time on your computer in post-production. If you don’t want to take the risk of publishing a sub-par video on IGTV, then you’ll need to do some editing. By far, the preferred editing software for Instagram users is FinalCut Pro. 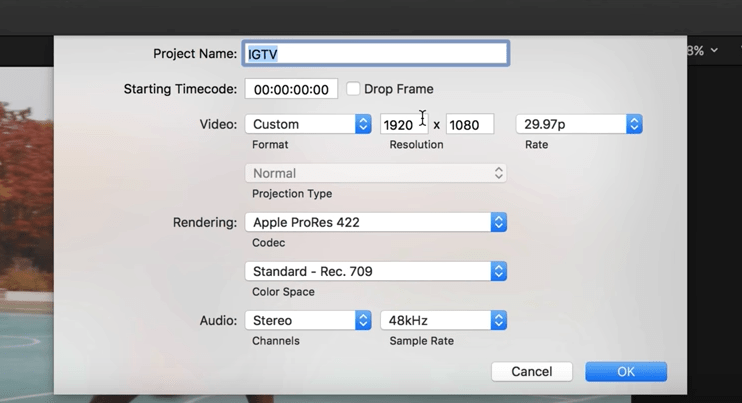 All you need to do to create the ultimate IGTV video is load a new file into the FinalCut Pro tool, then adjust the “specs” of your file according to your needs. You can change everything from the resolution of the clip to the aspect ratio. If you don’t have hundreds of dollars to spend on FinalCut Pro, there are alternative options. If you have a Mac, then you can download a tool called “iMovie.” The iMovie software is entirely free, and although it might not be as advanced as FinalCut Pro, it has everything you need to alter your video to suit Instagram dimensions. Download the program and create a new project in iMovie by uploading your vertical video. You’ll need to rotate the video 90-degrees so that the tool doesn’t automatically add a black border to your clip. However, when you’re done editing, click the export button on the right-hand corner of the screen and rotate the video until it’s vertical again. If you don’t have a Mac, or you prefer doing the majority of your video editing from your smartphone, then you can still get the perfect Instagram dimensions. All you need to do is download a tool like “VRF” for iOS, or Perfect Video for Android. After downloading the app, open your video and rotate it 90 degrees so that it’s horizontal again, then you save it to your camera roll, upload it into iMovie, and edit the aspect ratio according to your needs. Just remember that you can’t rotate your IG titles in the mobile version of iMovie. If you’re hoping to add text to your content, you’ll need a different piece of software. Once you’re finished editing in iMovie, save your content again and re-open it with VRF or Perfect Video. You’ll be able to rotate back to vertical mode and enjoy the perfect Instagram dimensions for your video. Recording your videos with the highest-quality camera, you can afford. Editing your video thoroughly before uploading. Make sure you use a reliable internet connection for your upload too. Remember, unlike with Instagram’s main content feed, you can publish links on the description in your IGTV content, and drive people back to your website. With that in mind, it’s essential to make the most of this new channel. Once you’ve finished editing your video and getting the aspect ratio right, make sure that you create an IGTV cover photo that will make your content look great on the Explore page too. The cover photo you choose can’t be altered after you upload it, so make sure that you get the Instagram dimensions right here as well. You’ll need a 1:1.55 ratio, or a size of around 420 x 654 pixels – and Instagram only supports the JPEG format. You’ll also have to choose an image that’s less than 4MB in size. Stick to a posting schedule: People love consistency – whether you’re posting Instagram stories, videos, or photos. With that in mind, make sure that you have an idea of how often you’re going to publish new material to Instagram before you launch your IGTV campaign. Add special effects: We all know how much users love #Filters on Instagram. You can also take your videos to the next level on the social platform by adding special effects like graphics and pop-ups to make parts of your content stand out. Don’t be afraid to experiment. Promote your video: Don’t forget to get people excited about your upcoming content. Post stills from your next clip on your IG profile or remind people about your vids on your other social media pages to get more attention to your channel. IGTV may be a brand-new concept for Instagram users, but it’s set to play a significant part in the growth of the channel going forward. If you want to make the most out of your video content, then you need to make sure that you understand the basics of shooting vertical video – all the way from making sure that your Instagram dimensions are right, to creating the perfect captions. If the concept of launching and managing your IGTV strategy seems like too much for you, why not get some help? With Upleap, you can start growing your Instagram following in no time using a devoted account manager. Find out what you can accomplish today with your free trial!